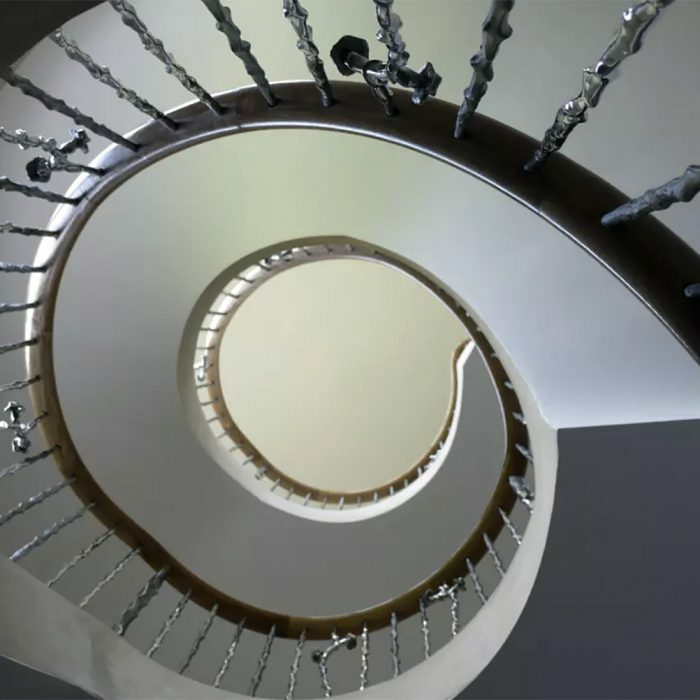 We see spiral staircases as an opportunity to create stunning repeated form. Ideal for opening up space in a hall or entrance. 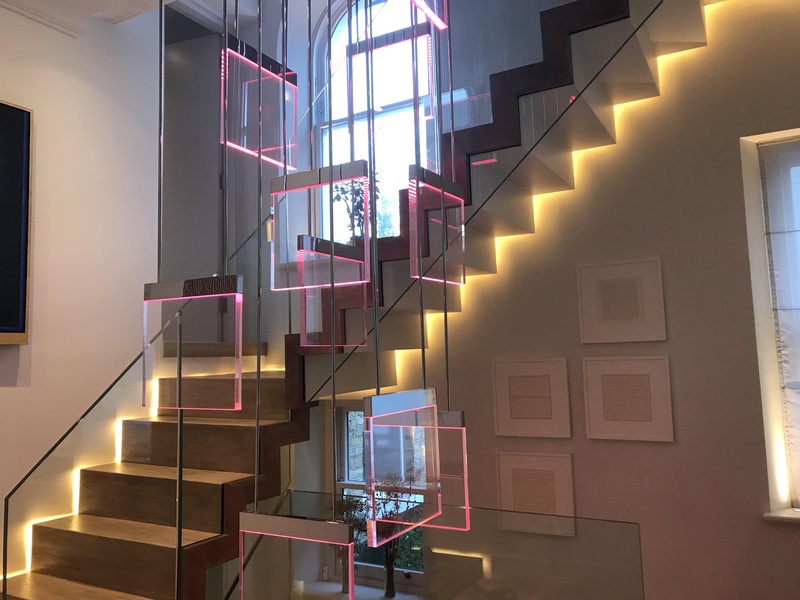 This staircase has hidden structure within it resulting in clean minimal lines. The beauty of the helical form are its gentle sweeping curves. 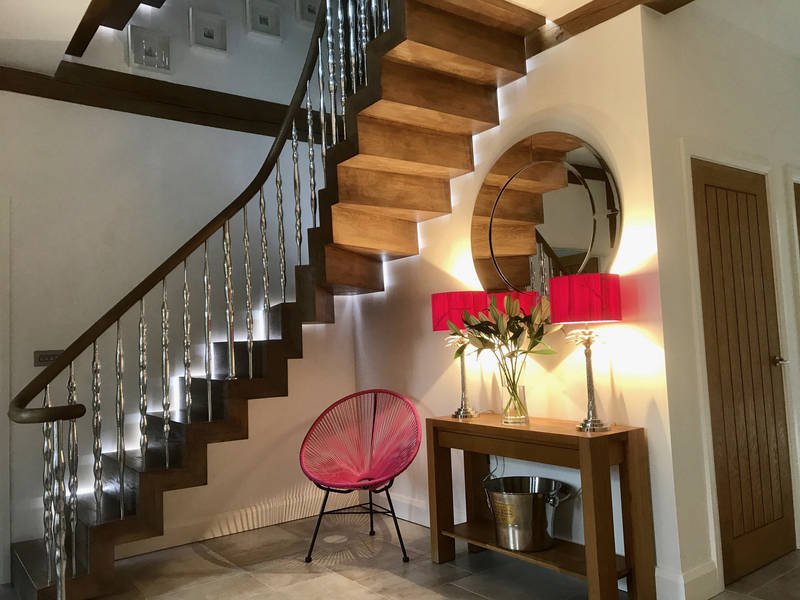 Read our guide and follow our steps to help you decide which staircase type would best suit your property. We work directly with architects, interior designers and developers. Find out more about how we work. Our process is simple. Read more about our process here. 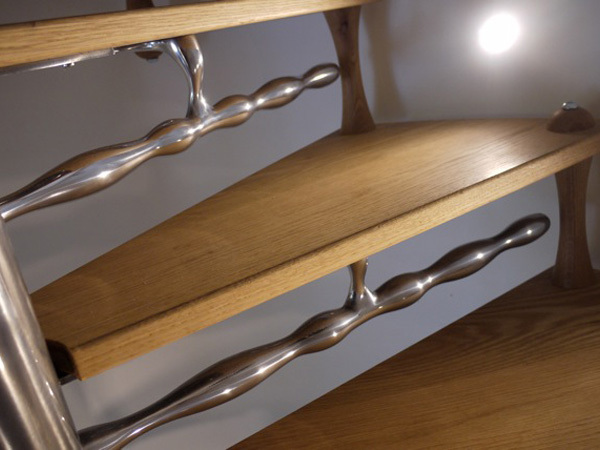 Our staircases are designed and hand made in our workshops in Oxfordshire. Our passion is design, and creating something unique within every project. 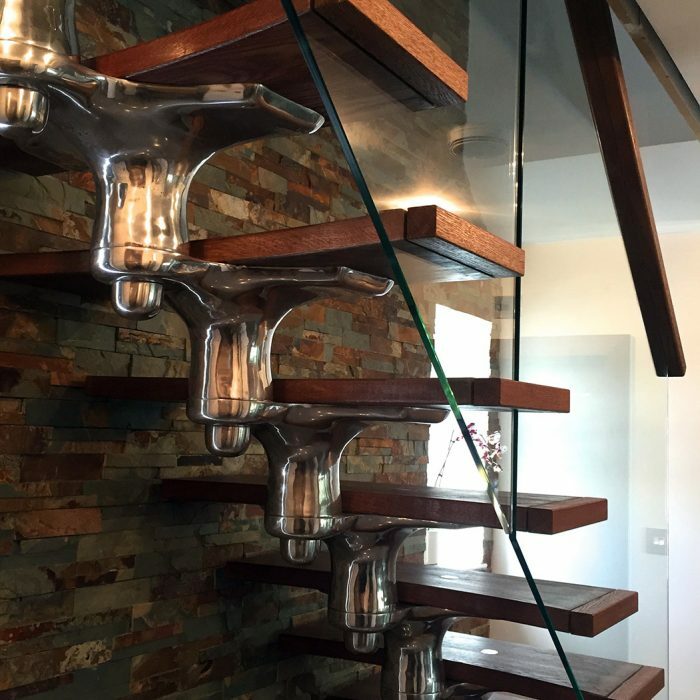 We work in timber, metal, concrete and glass and pride ourselves on our close relationship with our clients throughout the design and build process. Talk to us if you'd like our advise on project your have in mind. We turn your ideas into reality. 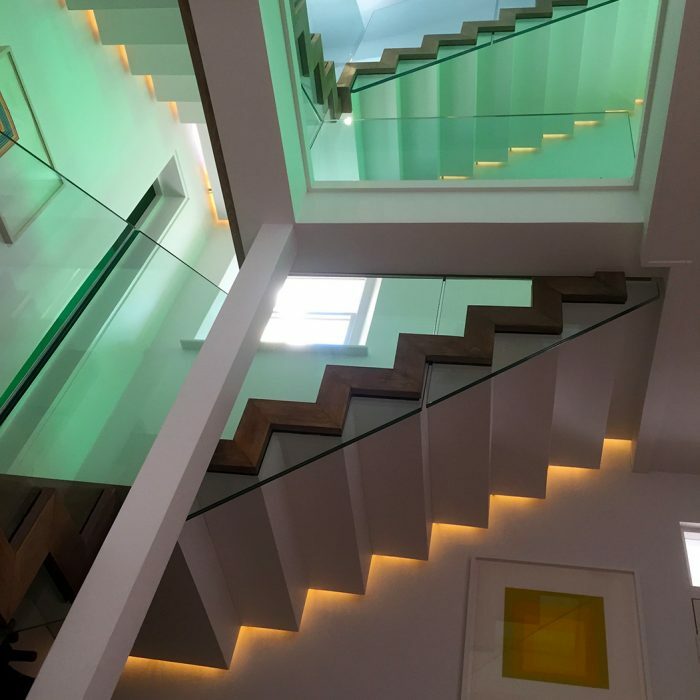 "A staircase is the single most visible structure in a house, more often than not its the first thing you see when you come in and the last thing you see when you leave, for us staircases are the meet and greet of the interior, and first impressions are important so it’s our job to get it right." 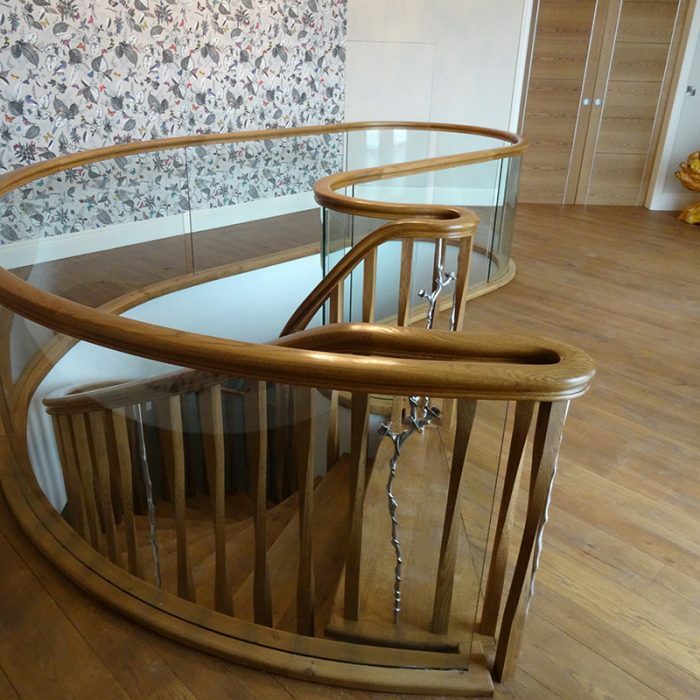 Our goal is to make the process of your staircase build as convenient as possible. Find out about our practice in our help and advice section. Zigzag will visit site to survey what is required for your commission. We will then produce all design drawings, layouts, plans and elevations in our quotation. Once drawings are issued and signed off, Zigzag will start production in our workshops. Our final stage is installation where team Zigzag will deliver and install your staircase to an pre agreed schedule. Complete the form if you’d like is to send you a brochure, discuss a project or ask us for a quote please enter your details in the adjacent form. Zigzag was Awarded GOLD at the 2015 London Design Awards and Platinum 2016 Design Journal ADEX Awards. We had no idea we could make our stairs so beautiful. 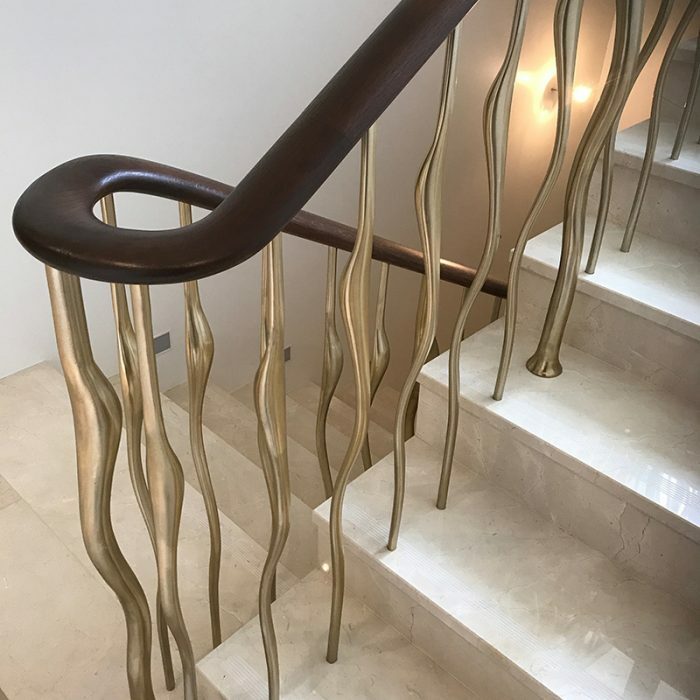 Zigzags balustrades are simply gorgeous. 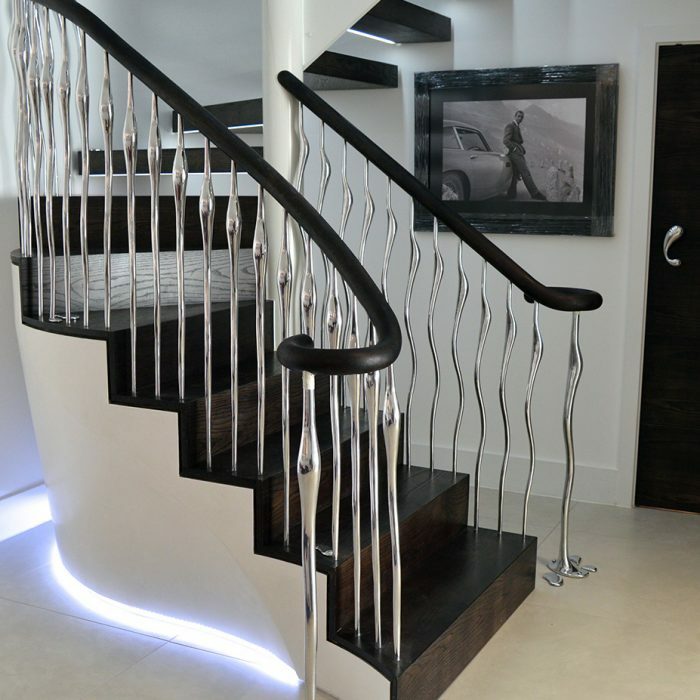 Our staircase is the focal point of our new home, timeless, elegant and sparkling like jewels. This is all so much better than we had ever imagined a staircase could be. Everyone loves it and everyone comments on it! Nick and his team were professional, reliable and a pleasure to have around. Thank you so much! So much more than just a staircase. 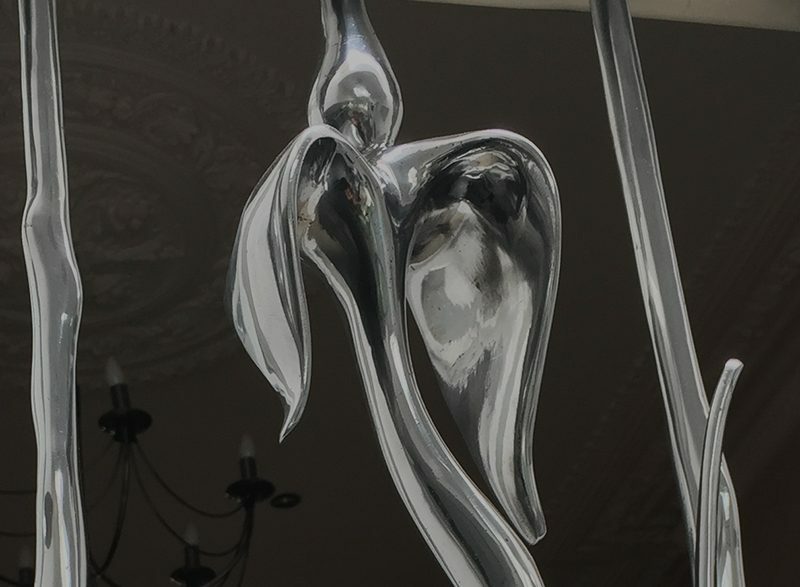 It’s an artistic feature with a big Wow that has transformed and upgraded the look and feel of our home enormously. A fabulous team to work with from start to finish! Amazing ebony oak zig zag staircase, with rose and thorn newels and spindles, looking very appropriate in this rural setting. The afternoon sunlight adds a sparkle to the upper hall area. Wonderful! Nick and his team at ZigZag designed, created and installed a fantastic centre piece for our new home. 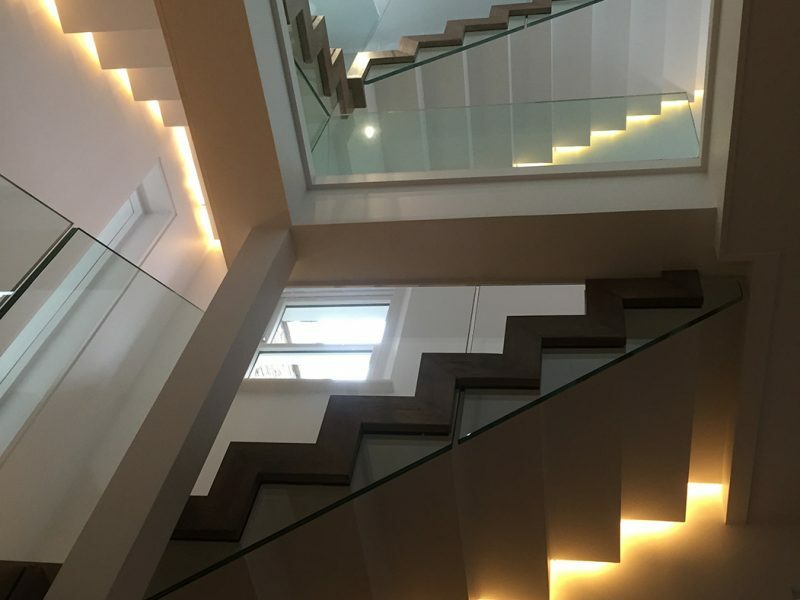 The professional approach taken to fitting our staircase and attention to detail was unique amongst any of the other trades that we encountered during our high specification build. 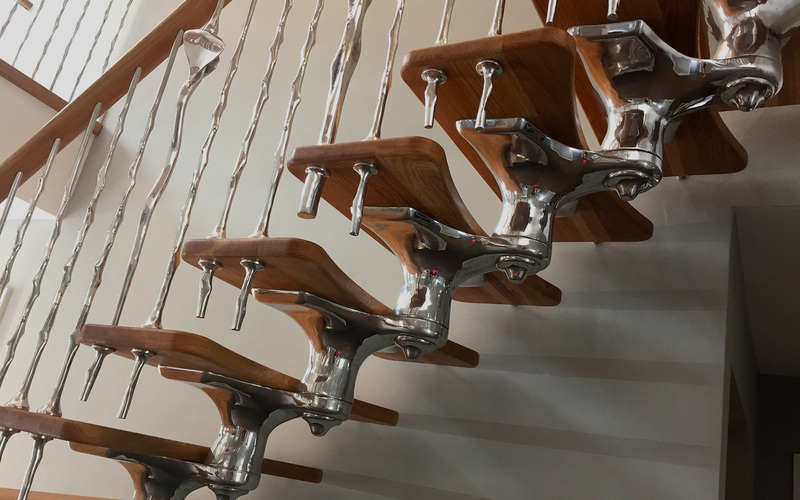 Our sincere thanks go to Nick for being true to his word and providing us with such a fantastic staircase. I would not hesitate in recommending ZigZag to anyone looking for the very best.